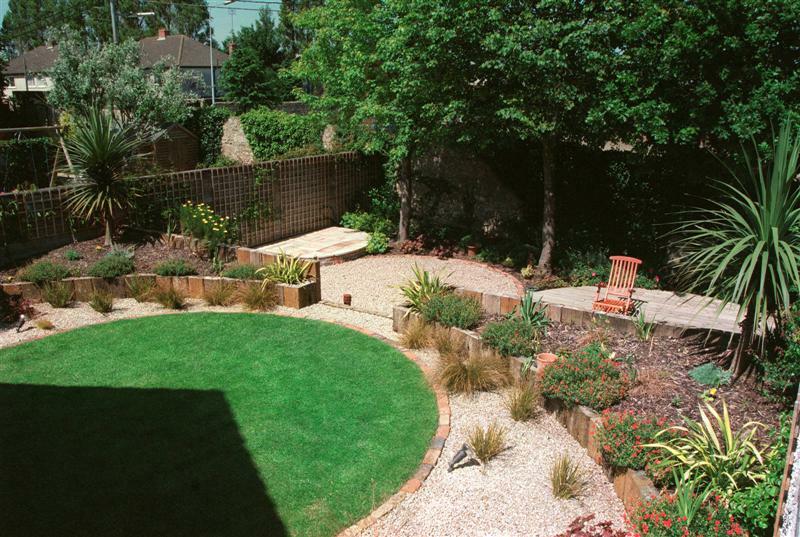 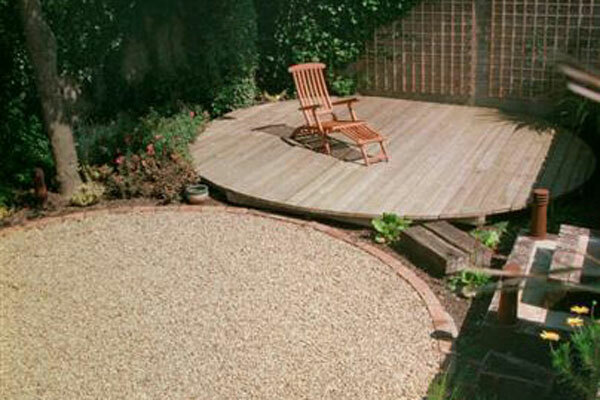 For this landscaping contract the client required a garden design to make use of a very steep slope. 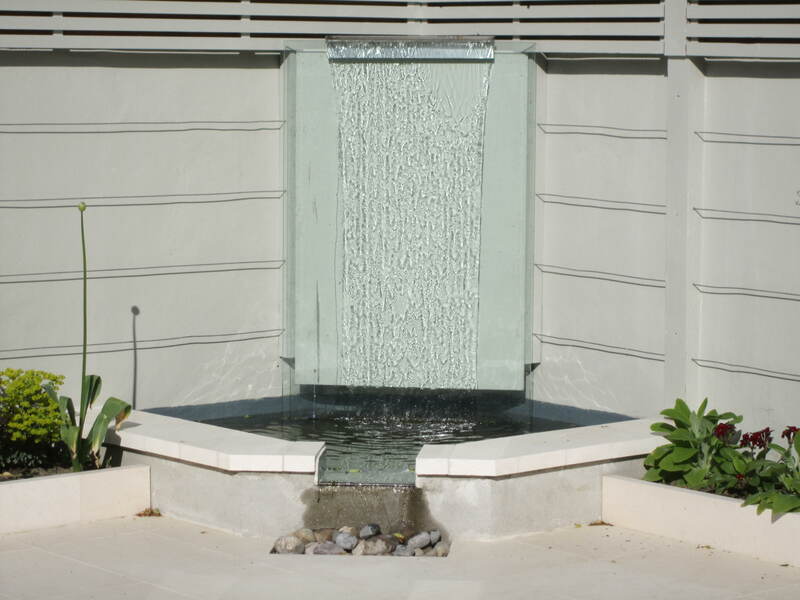 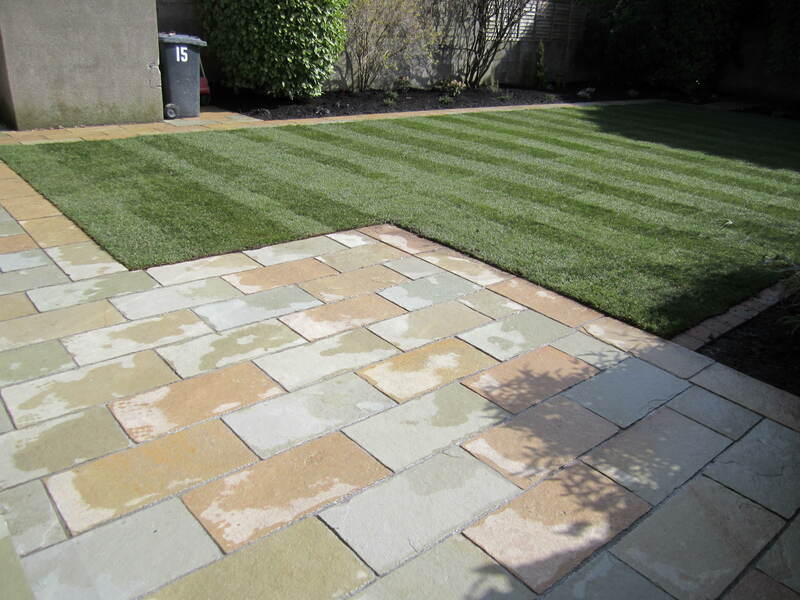 Low maintenance, lawn, new driveway, outdoor lighting and child friendly water features were a requirement. 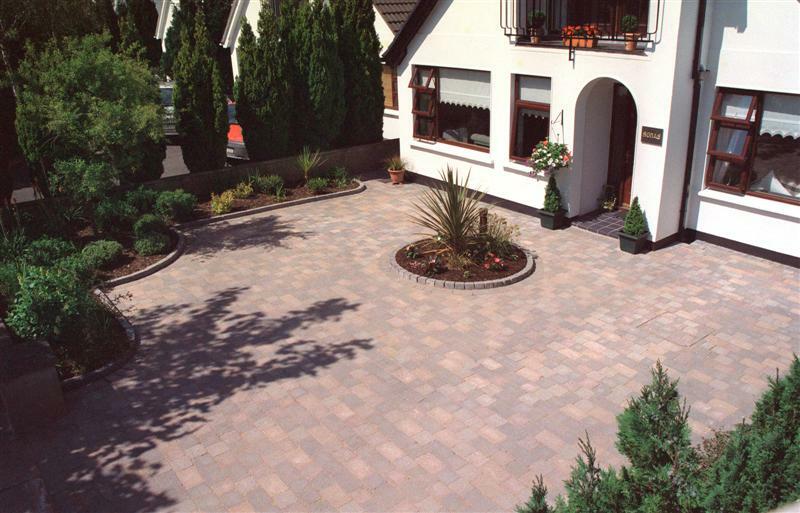 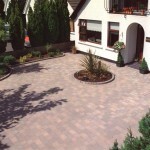 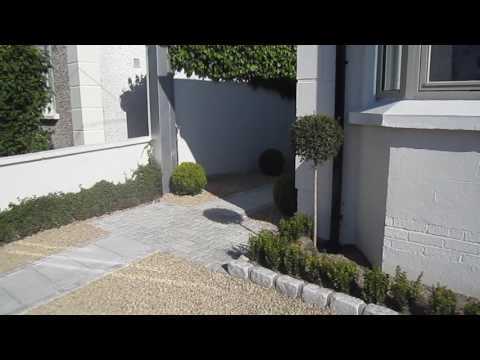 The driveway was created using tegula bracken paviors and tegula bracken kerb stones for beds. 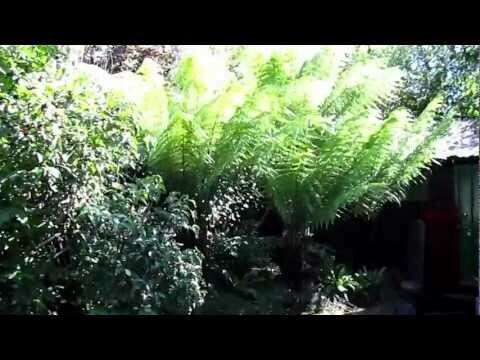 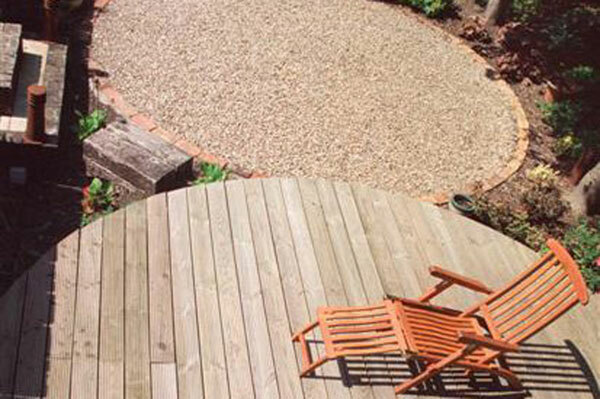 The back garden with steep slope was divided into two levels. 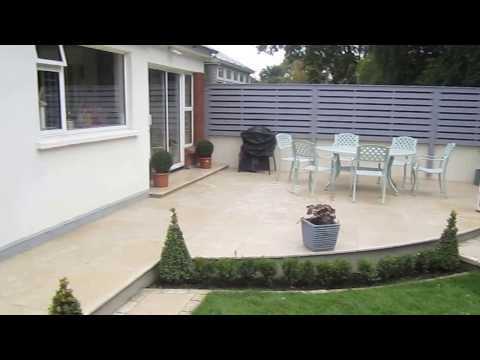 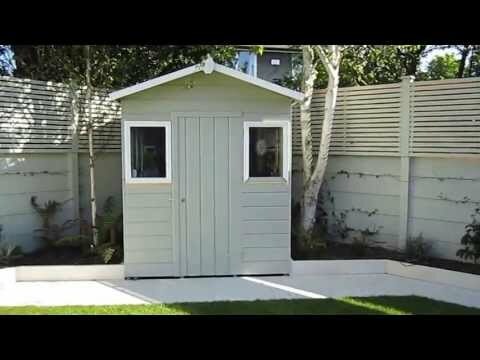 The upper level consisted of a child friendly water feature, circular lawn, ballylusk gravel and raised sleeper beds. 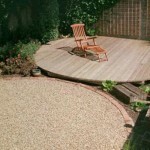 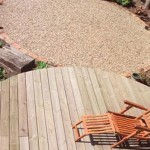 Steps lead down to the lower level which consisted of a circular gravel area with a semi-circular indian sandstone barbecue patio and circular softwood deck for seating. 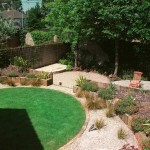 Planting comprised of shrubs, perennials, climbers and small trees with an emphasis on the colour white. 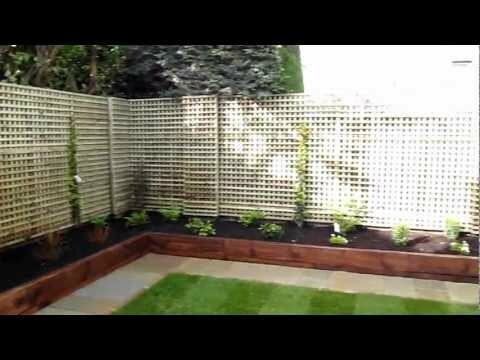 Surrounding walls were softened using trellis and climbers. 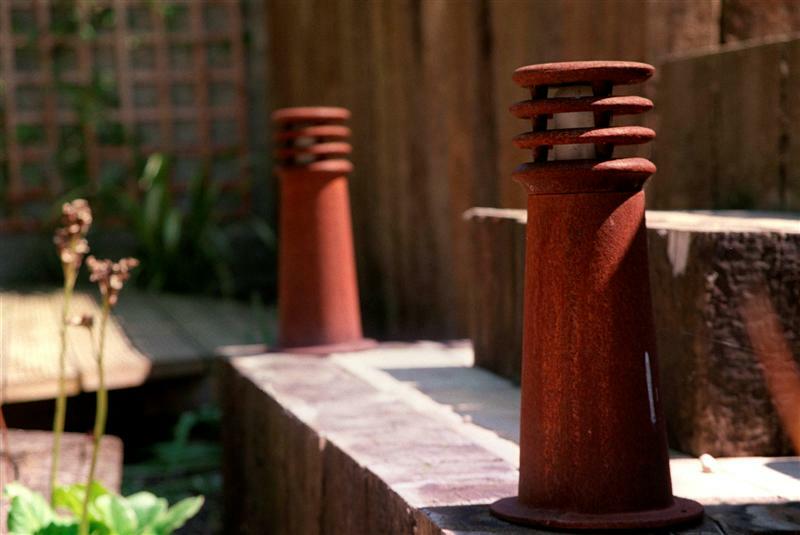 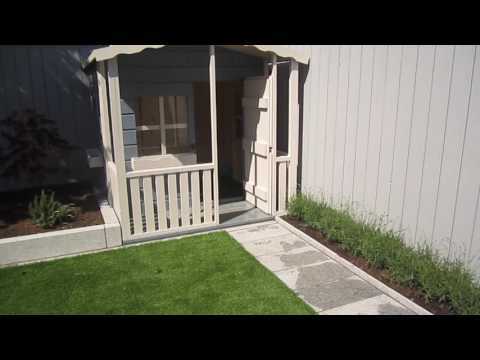 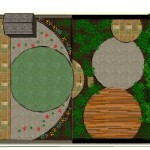 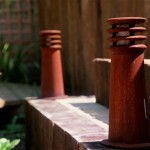 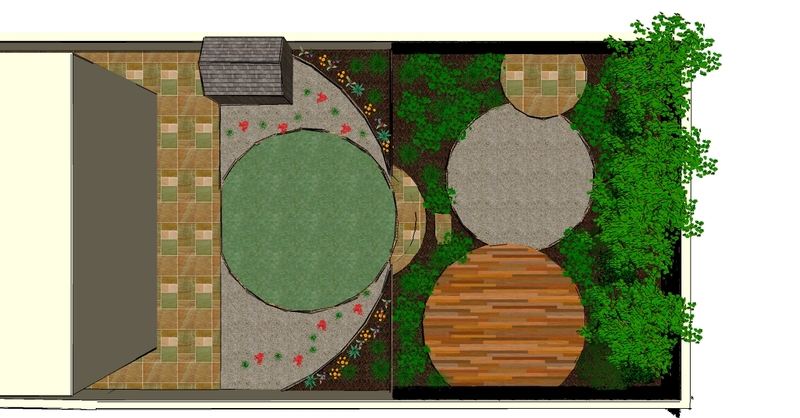 Garden lighting was used throughout in this landscaping garden design.